Research emphasis is on strategies that improve reproductive efficiency in dairy cattle. Primary focus is on endocrine and nutritional factors that influence reproductive outcome, applied embryo technologies, and reproductive ultrasonography. 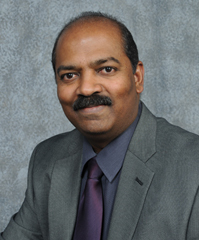 Research interests include: control of ovarian function (synchronization of estrus and ovulation), improving estrus detection efficiency through electronic aids, role of dietary fatty acids on fertility, strategies to reduce early embryonic mortality, postpartum reproductive management (cystic ovarian and anestrous conditions), and corpus luteum function.